Fig. 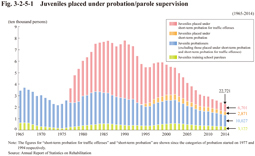 3-2-5-1 shows the number of juvenile probationers and juvenile training school parolees newly placed under probation/parole supervision (see Appendix 2-7). 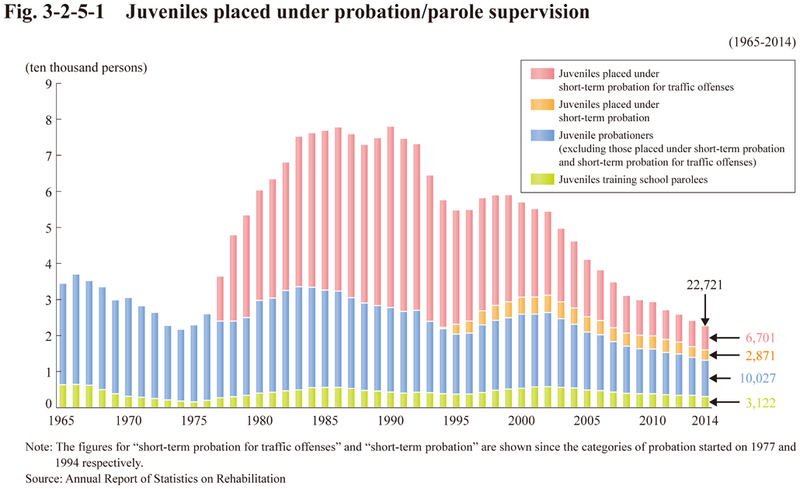 See Appendix 3-12 for percent distribution of juveniles newly placed under probation/parole supervision by type of delinquency and gender.